A few months ago, I discovered a fascinating page on Landlordology.com called The Landlord Lifecycle. This was something my friend Lucas Hall told me about, and I thought it was a pretty brilliant way to map out the process that all self-managing landlords have to understand when starting and building their rental property portfolio. It got me thinking… what if I created something like this for the land investing business? Perhaps a similar roadmap could help clarify things for those who are still trying to get their arms around how this business really works, and whether it's something they want to pursue. So if you've ever wondered what the typical “lifecycle” looks like for a raw land deal, I spent some time putting together a detailed framework for all the aspiring land flippers out there, in an effort to make it abundantly clear how the process works. Of course, this is just one model that can be can be followed. This is the way I do it, but not every land investor goes through these exact motions (though from what I've seen, most of us follow a pretty similar set of steps). As I've been working in this business over the past decade, this is the most systematic and sustainable way I've been able to nail down so far. When you're starting from square one, it's wise to look at several markets before you hit the ground running. There are plenty of acquisition opportunities in most markets, but not every market has the same types of properties available at the same price range. Every area will produce a slightly different response to your marketing efforts. Establish your budget for marketing and acquisition. Identify any state and local laws that may apply to vacant land transactions. Determine whether you intend to sell for cash or with seller financing (or both). Find out what property information is available from the county and/or your data service of choice. There are many ways to find real estate deals, but when it comes to vacant land, direct mail is widely considered to be the most efficient and cost-effective way to find motivated sellers. The success of any direct mail campaign has everything to do with your ability to find the right data, organize it adequately and send a compelling message to the right people. Determine where you're going to get your list of property owners (the county or a data service). Get your list filtered and sorted for the best possible response rate. Upload your list and direct mail piece to a direct mail service provider and send the mail! As the responses come in from your direct mail campaign, make sure you have the right systems in place to manage those inbound calls, emails and website submissions. Set up a phone system (and preferably, a customized voicemail greeting) to answer the sellers that choose to call you. Create a buying website to build your credibility and give sellers a way to submit their property information to you online. Respond to your inbound leads when necessary, and gather the essential information you'll need in order to make offers. Direct mail marketing is a numbers game, so before you spend hours researching each property, it's important to find an efficient way to identify which property owners will be most likely to accept the low prices you're willing to offer them. Many sellers won't be interested – so we need to eliminate them from the running before we spend time digging into the details of each lead. Set up a FAST, seamless system for making non-committal offers. You can do this by sending out blind offers with your initial direct mail campaign (see Step 2) or emailing offers to each property owner. If any negotiation is required to get an acceptance, only have those conversations on the properties that are worth fighting for (and only revise your offer to the point that it still fits within the amount you're willing to pay). When your offers start getting accepted, it's time to dive into your due diligence. Are there any hidden problems you need to be aware of? Are there any apparent reasons you shouldn't go through with this purchase? Don't count on the seller to give you all the information. The only way to be confident about what you're purchasing is to do your own homework. Find the property's location, shape, size, and dimensions, and verify that these aspects of the property are acceptable. Look closely at similar properties listed for sale in the near vicinity (and if any data is available for sold comps, look at those too). Try to nail down an approximate market value for your subject property. Make sure you understand all of the costs associated with purchasing AND owning the property (back due taxes, recording fees, HOA fees, etc.). Even if your intent is to sell the property as soon as possible, be fully informed about what it would cost to hold the property for a longer period of time, like 12 – 36 months. If any adjustments need to be made to your offer price based on your findings, discuss this with the seller and revise your purchase agreement before closing. There are two different ways to handle the closing process for vacant land. One option is to close the conventional way – with a title company or real estate attorney (this is a more costly approach, and it usually makes sense for properties valued at $10K or more). Another option is to be unconventional and close it yourself (this is far less expensive, but also requires more time and education. It usually makes more sense for properties valued at $5K or less, because these properties have a smaller profit margin, and the cost of hiring a closing agent will usually kill the deal). Closing a cash land transaction is fairly straightforward, but any type of real estate closing involves some inherent risk. The documentation, steps and even the law can vary greatly depending on the state and municipality your property is located in. You should only conduct your own closings if you've done your own independent research and verified what documentation and procedures are required for your situation. Option 1: Do your own title search to verify a clear chain of title and conduct an in-house cash closing (often makes sense for properties with a market value of less than $5K). Option 2: Send your signed purchase agreement to a professional closing agent and let them do all the work (often makes sense for properties with a market value of $10K or more). The selling process is where the land flipper finally gets paid. The process can be fairly quick (with properties selling in just a few weeks) or it can take longer (with properties selling after several months on the market). The speed of the sale has a lot to do with the quality of your listing, the reach of your promotional efforts, the price and terms you're offering and the property itself (among other things). Create a compelling property listing, with great pictures, an informative description (and even video, if possible). Post your property listing in as many places as possible, and focus your efforts on the outlets with the highest traffic and/or the most targeted audience for land buyers. Price your property competitively (if you bought it at 10% – 30% of market value, to begin with, this should be easy) and offer seller financing whenever possible. Contact the neighbors and let them know of the property you have for sale. Build a buyers list and keep them informed of the properties you have available. You don't have to offer seller financing on the properties you sell (as it does add some complexities to the process), but if you are willing to do this – you'll be able to sell your properties much faster, generate more passive income and make a lot more money in the long run. Seller financing can offer some huge advantages for land investors, because most banks and credit unions won't offer loans for vacant land – and since most land buyers will have a harder time finding the funds to buy your property, you can solve this problem by financing the sale for them (and since you're acting as their lender, you'll have a lot of freedom and flexibility over what the terms will be). Do some homework to find out what type of lending instrument should be used in the state where your property is located. Consult with a legal professional to understand what will be required if a borrower ever defaults on their payments to you (i.e. – In the worst case scenario, how difficult, costly and time-consuming will it be to repossess/resell your property)? Finalize the terms with your borrower, verify their ability to repay (optional), close the transaction and start collecting payments. RELATED: Land Contract or Deed of Trust? Which is Better for Seller Financing? 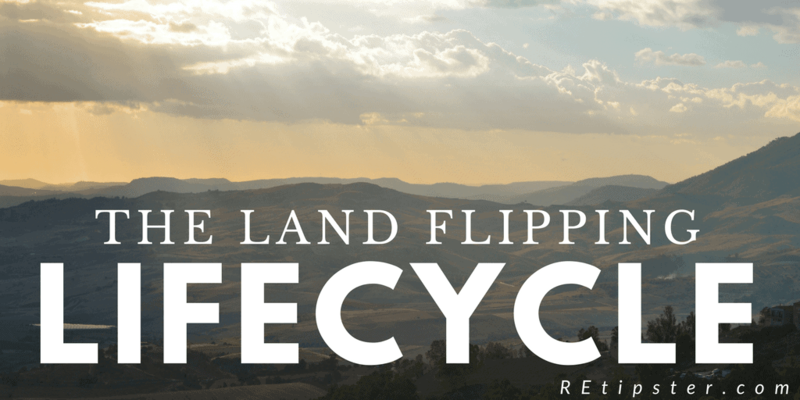 By the time you reach the end of the land flipping lifecycle – you will have learned A LOT of lessons about what you should and shouldn't continue doing as you circle back to Step 1 and repeat the process. Take some time to analyze how everything progressed through each of the previous steps. What can you change to smooth out the process? Think about how you can navigate through the lifecycle in a more efficient, sustainable and profitable way. Should you work in a different market, or stay in the same place? Should you go after similar property types, or pursue something different? Should you change the way you handled prospects and made offers? Which marketing mediums were most effective for you in the selling process? Where should you be spending more (or less) time and money? Was it easy or difficult to get your property sold? Why? If it was difficult, what would have made it easier? If it was easy, should you have asked for more? Make any necessary adjustments to your game plan and jump back into it! If you've made it all the way through the lifecycle, give yourself a BIG pat on the back! Many people burn out somewhere in the previous steps because land flipping is like any business – unexpected challenges WILL come up, things DON'T always happen as quickly and seamlessly as we'd like them to, and it takes real patience and stamina to keep pushing forward. 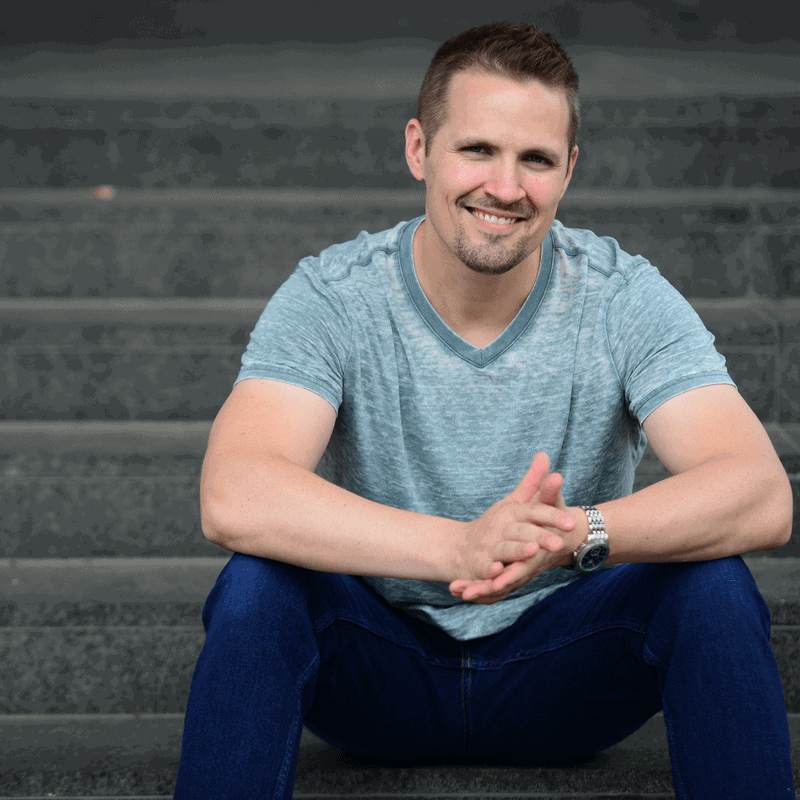 When you've been through the lifecycle a dozen times (and learned lots of new lessons each time through), you'll eventually become much more confident in what you're doing and you'll know how to make a sustainable income by repeating these steps. For most people, land investing is a means to an end – so whatever your end goal is, be intentional about moving your business and life in that direction. If your goal is to diversify your income or fund your retirement by investing in other things, then make sure you've set aside a budget to do this! If your goal is to funnel your land profits into buying rental properties, then don't forget to continue investing in profitable rentals! If your goal is to build up dozens (or hundreds?) of streams of passive income from the seller financed land deals, then make sure you're selling your properties this way! If your goal is to quit your job and spend more time with your family, then make sure you've got a game plan to quit your job and make more time for your family! I know from experience, even when you've got a business that runs like a well-oiled machine, it's easy to let the business run you, rather than you running your business. Whatever your long-term goals are, don't forget to keep those goals in mind as you make short-term decisions. Want to Learn More About Land Investing? Very helpful article – thank you! Glad to hear it JD! Thanks for reading. That’s a great article seth. Very well explained with good steps. Thanks Nida! I’m glad you found it helpful! Thanks again for a great article. I especially like the ideas on how much to budget for the business. A quick question about marketing research. Is it advantageous to look for high growing market areas of the United States, and look at the surrounding areas for some good recreational characterics or in your experience do these hot markets attract a lot of other vacant land investors? Thanks so much. Hi Angela – that would be one way to approach it, particularly if you’re interested in land banking (which is a much slower way to realize your gains, buy it can certainly work). Seth – another great article. Good job… Love your blog. It’s always a huge compliment when it comes from the great Joe McCall. Thanks for reading Joe! Hi Seth. Great article. My question to you is, how do I find a market to specialize in? Are there certain states/sub-markets that are better for land investing than others. Also, what type of zoning do you look for in the land? As for the zoning, it just depends on what you (or your future buyer) wants to do with it. Try to figure out what the “highest and best use” is for the land, and make sure it can actually be used for that according to the zoning rules and regulations, because that’s where you’ll get the most value when it comes time to sell.